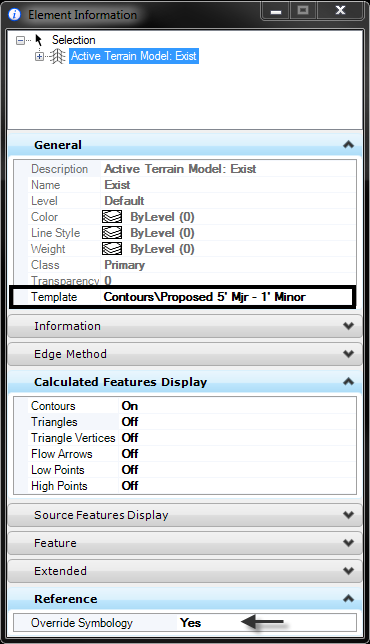 It is common to reference your design file that has the Terrain Element to your geometry or sheet models. However, you may not see what you want for display graphics when it is attached. Maybe you don’t want to see the triangles or you want a different contour interval displayed. The following steps will show you how to change the display of your referenced OpenRoads Terrain Element. 1. Attach the reference file that has the Terrain Element. 2. 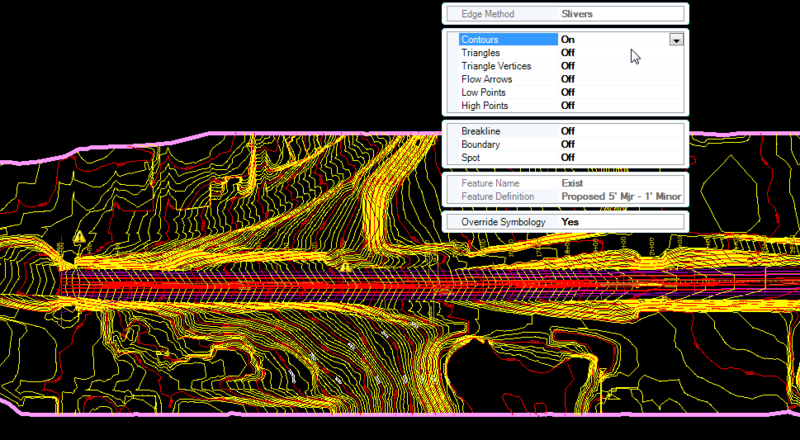 Select the referenced Terrain Element and from the mini-toolbar select Properties. The heads up display properties of the Terrain Element will appear. 3. In the Reference section of the properties change the Override to Yes then deselect the element. 4. 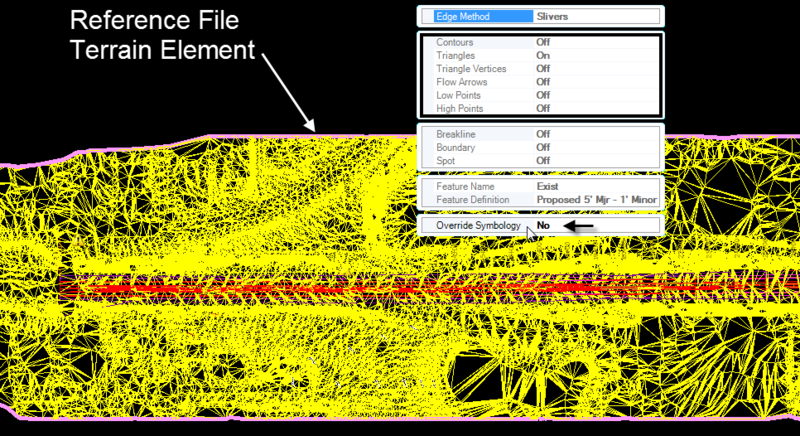 This time re-select the referenced Terrain Element and pick the Element Information from the Primary toolbar or Right Click Hold and pick Element Information from the fly-out. The Element Information dialog will appear. 5. Look in the General section of the Element Information dialog. Template should have black text meaning that is able to be modified. 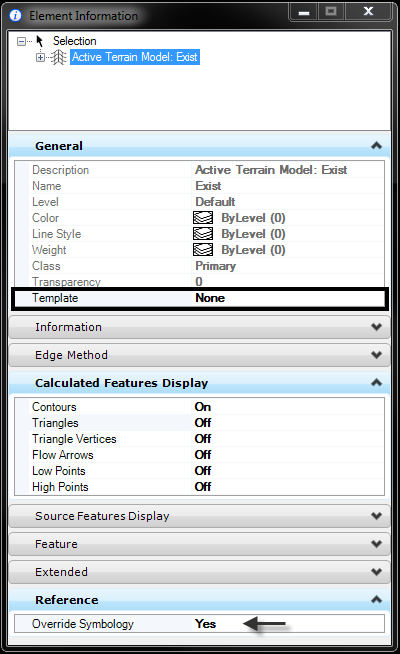 From the Template drop down select a new Element Template definition for the Terrain element. The Terrain Element should redisplay and now when you use the quick properties from the mini-toolbar you will be able to toggle off the contours, triangles and other calculated features.